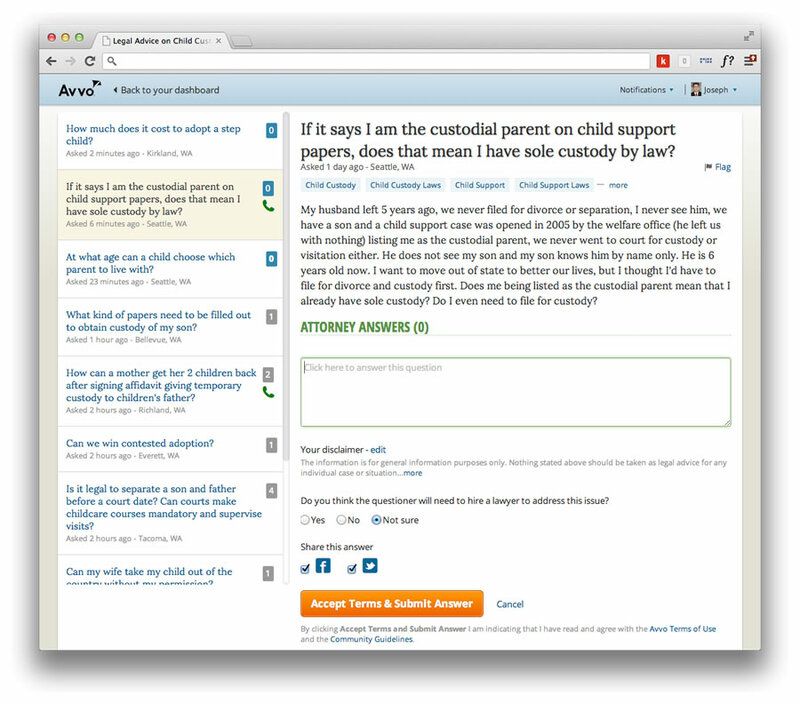 Increase the answer rate of lawyers. Since the product was shifting toward Q&A, timely responses from professionals became crucial. 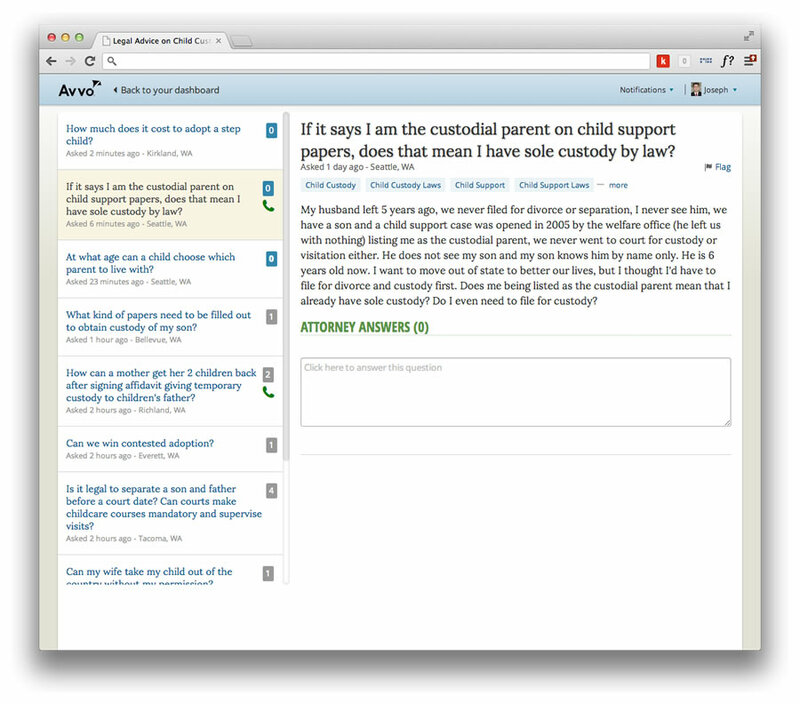 The mobile team was working on an iPad app for lawyers to find and answer questions, so our team wanted to take their learnings and apply them to desktop. 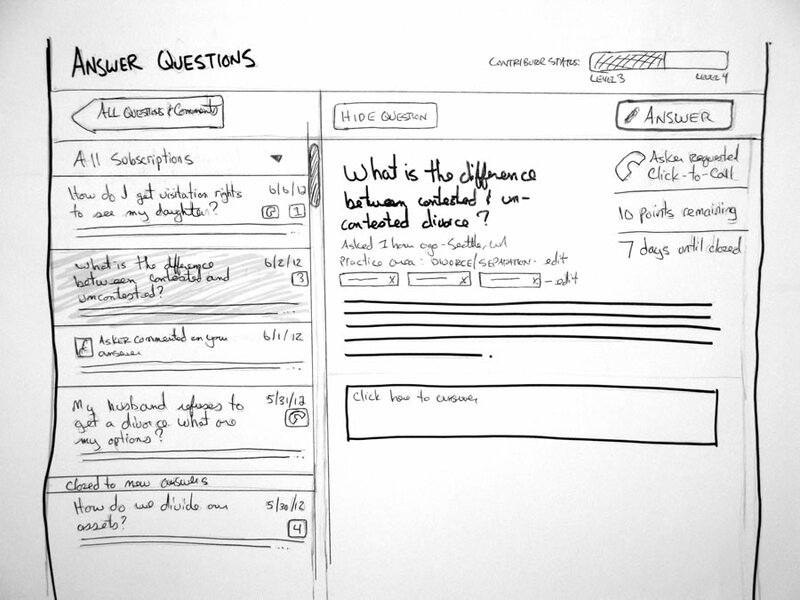 Design and prototype recommendations for usability and internal reviews. 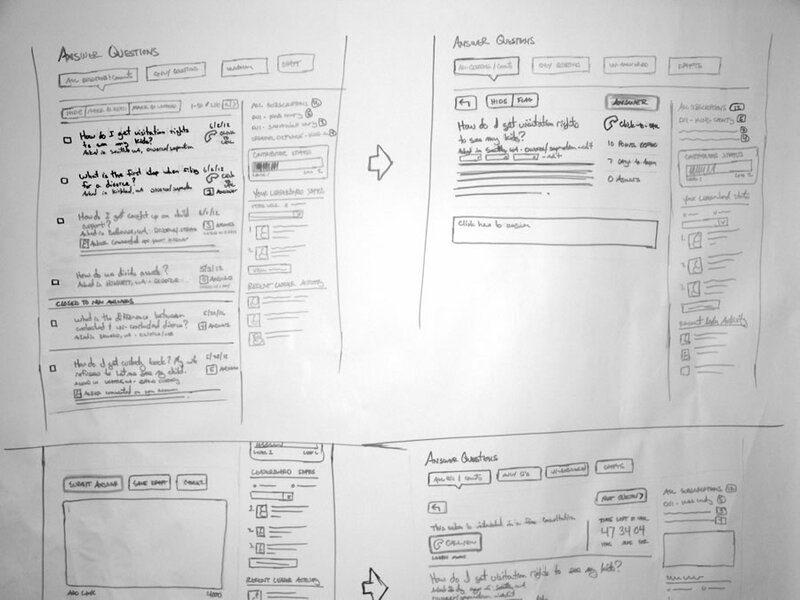 Alongside a lead developer, PM, user researcher, I started some large format sketches and quickly iterated. We pursued a sketch that provided a one-screen experience for the professionals — so they could view and answer questions in one dedicated space. 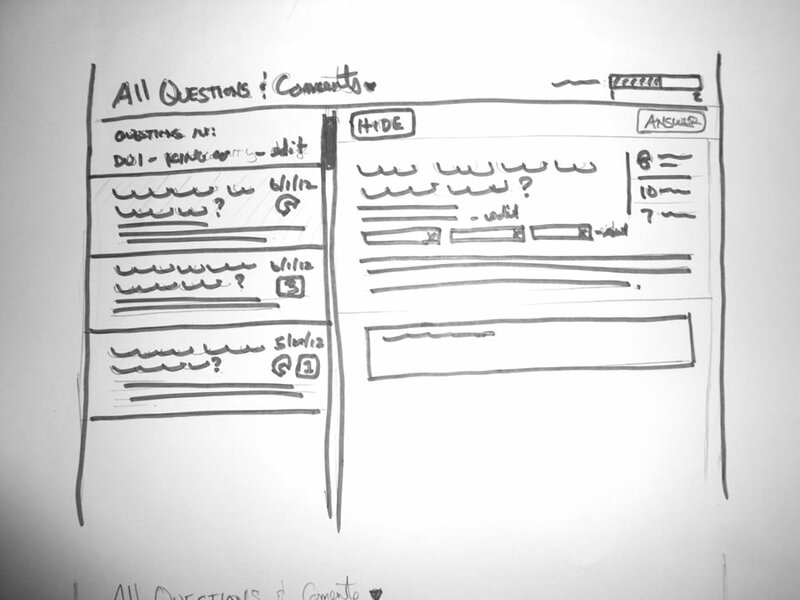 I prototyped (HTML, CSS, jQuery) from my sketches while our user researcher starting user-testing. The prototype allowed for the most realistic simulation, as static screenshots couldn't reproduce the interactions we wanted. After testing we decided to move forward with the build. 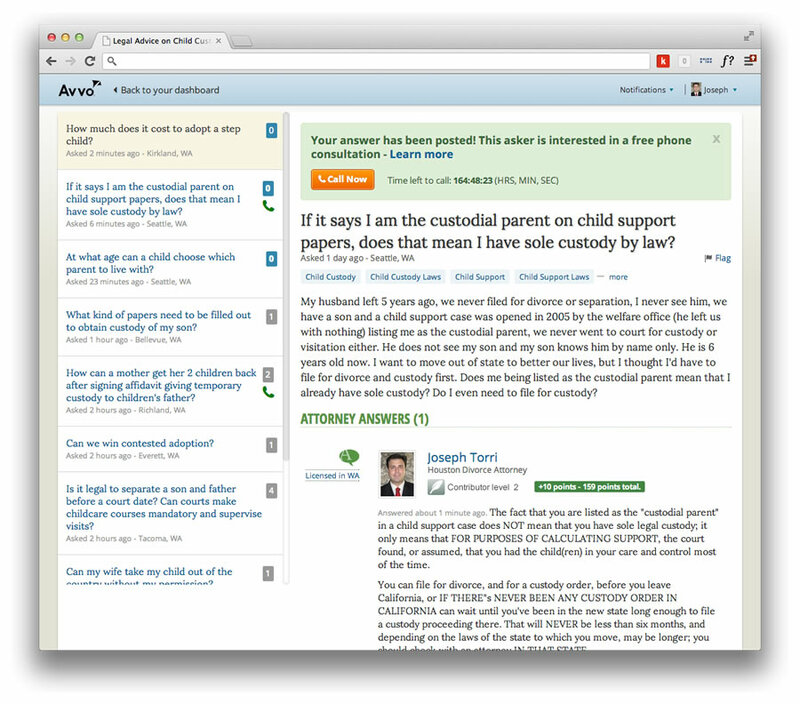 Once the build was ready, it was released to beta users. (The UI was a big departure from what users were used to, we wanted to be cautious before flipping the switch to everyone). Final iteration after Beta allowed for more control over the UI. 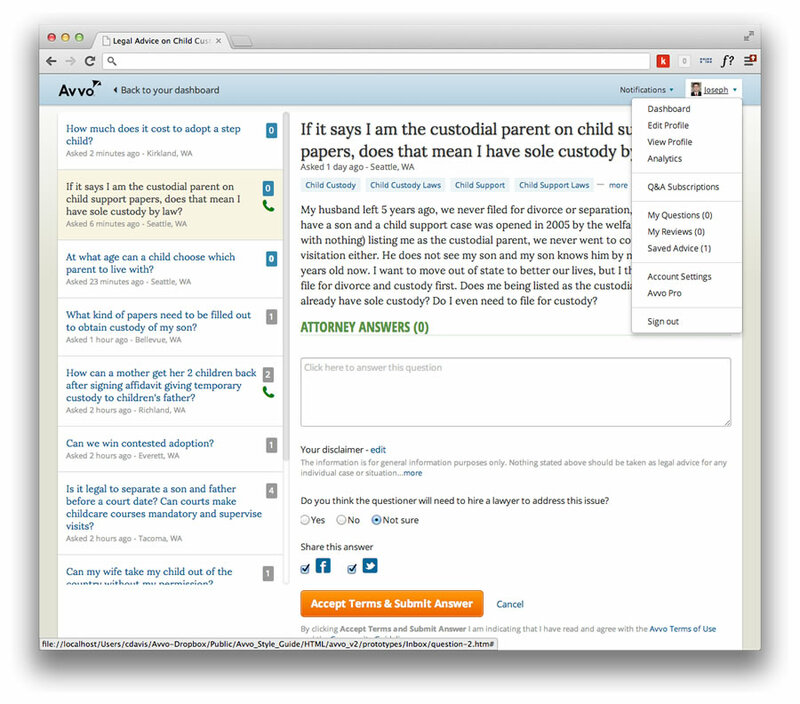 In an attempt to simplify we took out some functionality that lawyers used to filter questions. 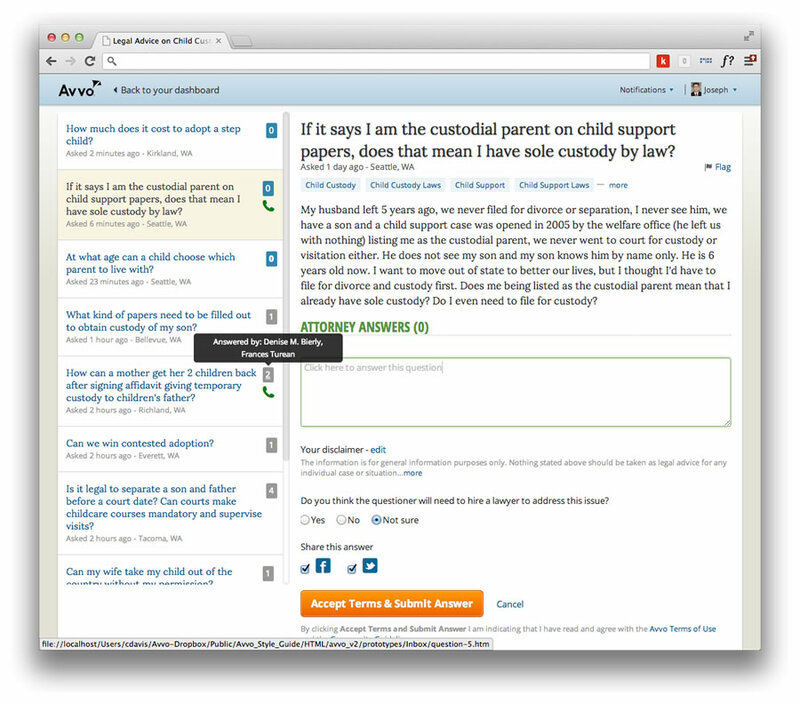 Beta users reported desire for more control over of the UI. Our final iteration addressed these filtering issues.